Did you know proper hydration results in urinating every 2 hours? Many elderly people don’t drink water because they do not want to take the time or effort to urinate. However, proper hydration is vitally important—especially for brain function. Dehydration significantly reduces blood flow to the brain and is the cause of half of all afternoon headaches. So, instead of grabbing an aspirin or other pain medicine, reach for a large glass of refreshing water. Better yet, sip water constantly throughout the day to prevent dehydration. Water improves bowel movements and can resolve constipation. Back pain can also be significantly reduced with proper hydration. The discs in our back are supposed to be shock absorbers, but with lack of water, they become harder, less pliable, dehydrated and shrink—resulting in back pain. Contrary to common belief, dehydration results in higher blood pressure. So, instead of taking the water pill, try increasing your water intake to lower your blood pressure. In hotter summer months, patients often report lightheadedness or dizziness, which a sign of dehydration. With warmer temperatures, more water is needed to keep the body cool. Increased water intake improves our circulation and encourages perspiration, which is how the body cools itself. 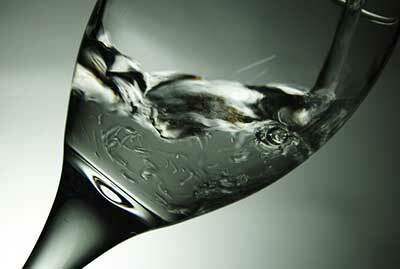 A large glass of water in the morning improves circulation and helps the body in detoxification. Water also supports kidney function. The kidneys filter our blood and when the blood is thick due to dehydration, the kidneys have to work harder. When our blood is thinner, due to high water intake, the kidneys filter our blood with ease. If you are only urinating a couple of times a day, most likely you are dehydrated. To be well hydrated is simple and one of the best ways to keep and improve your health! An ideal target for water consumption is half your body weight in ounces. (e.g. a 200 pound person should drink 100 ounces). In the colder winter months, it’s better to drink room temperature water or warm water. Doesn’t a nice glass of refreshing water sound good right now?